I started writing at WLE in the last week of Dec'14. I notched up 10 articles and was waiting for results. Last week my first article was sold for 4.14 $. I am not eligible for payment yet but I know that as and when my remaining articles start to sell, I will make money. So, all I need to do is to write original content on a regular basis. The payout threshold is 5$. The good thing is that I'm no longer scared of being permanently suspended. 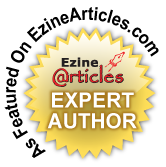 The editorial team here will see my work and rate it. Even if my work is rejected, I won't be suspended. I know I will get an opportunity to make corrections and deletions and re-submit my work. So far, only one article was rejected and when I re-submitted the article was accepted and as of now I have 10 articles waiting to be sold in the market place. I'm happy about the ratings too. Most of my articles have been rated 4 and 5 and the one that was sold first, was rated 3. Ironic, I suppose but now I know there are better articles that will find takers soon. 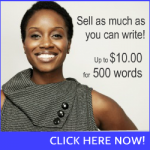 Good writers aspiring to make some good money by writing online will do well to write for WLE. The guidance and support is great for enthusiastic writers who are keen to take writing seriously.and make some good money on the side in USD. The conversion to INR is possible as the amount reaches your Paypal account in USD, where the money is auto converted to INR.